Karwanhajj Group USA can take the headache out of your travel plans by providing you with our visa services. 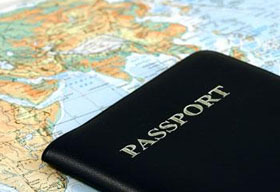 We process many applications at a time and are familiar with Embassies’ regulations and their locations as well. You don’t have to spend your valueable time in a process that can be easily taken care of by Karwanhajj Group USA for a nominal service fee. For more information call our office (732) 225-4050 or email us Khajjusa@hotmail.com with “Visa Service” in the subject field. We’ve invested decades building personal connections with the managers and presidents in the travel industry around the world which helps us bring you the best value for your budget. Your comfort is our highest priority.